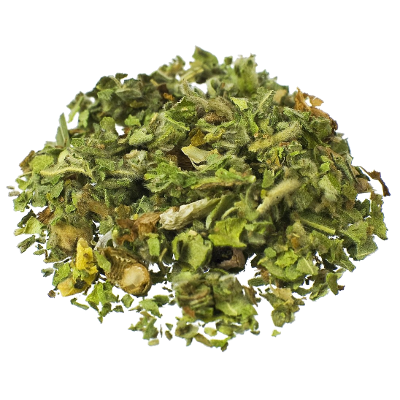 The herb Marshmallow (Althaea officinalis) contains mucilage that softens the respiratory tract. 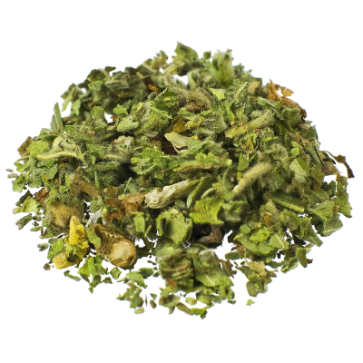 Marshmallow tea is an excellent remedy against coughs, sore throats and bronchitis. The ancient Egyptians were already aware of the wonderful medicinal uses of Marshmallow. Contains 50 grams dried, shredded Marshmallow leaves. The roots and leaves of the herb Marshmallow contain a high percentage of polysaccharides. Polysaccharides contain mucilage, a thick, gluey substance that softens and relieves the mucous membrane in the respiratory tract and the gastrointestinal tract. The slimy properties of Marshmallow help irritated mucous membrane to recover, making Marshmallow an excellent remedy against coughs, sore throats and bronchitis. Use these shredded Marshmallow leaves to brew tea. Take approximately 2 to 5 teaspoons for one cup of tea. Add honey or sugar to taste. You can also use Marshmallow in a vaporizer. Marshmallow or Althea officinalis is an herb belonging to the Malvaceae family, alongside plants like cacao, cotton and okra. Marshmallow was originally found on the steppes of East Asia, but has now become widespread in Europe, North Africa, West and Central Asia, and even in the America’s. 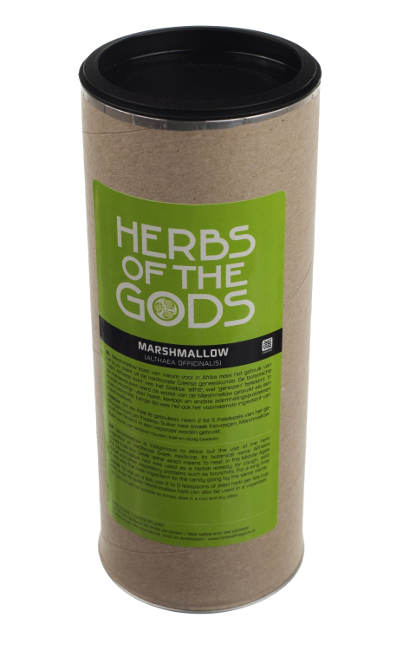 For centuries Marshmallow has served as a popular plant in folk medicine around the world. The ancient Egyptians were already aware of the medicinal properties of Marshmallow. In Greek medicine, Marshmallow was prescribed for coughs and sore throats. In addition, Marshmallow was consumed as a food. The Greeks and Arabs ate the herb in the case of bad harvests; the Romans even considered it a delicacy. The candy we know as marshmallow were also traditionally made using the roots of the Marshmallow herb. The juices found in the roots were cooked with honey or sugar to create a confection both delicious and softening the throat.